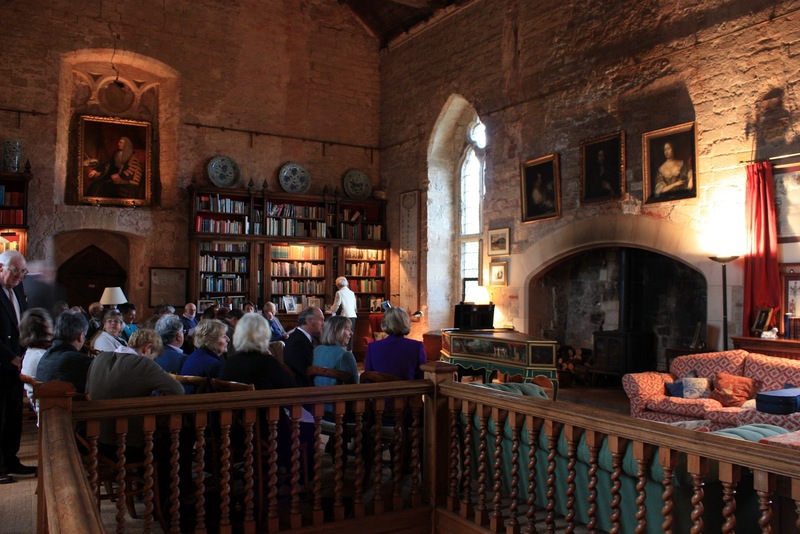 View from the Gatehouse: An Evening of Champagne, Bach... and mud! An Evening of Champagne, Bach... and mud! 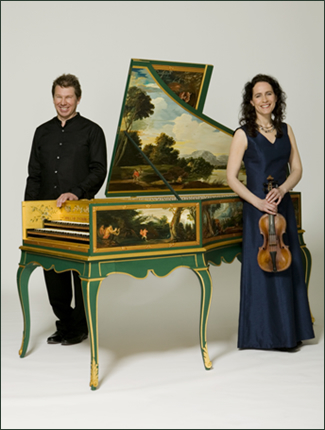 Fifty incredibly lucky people gathered at Markenfield last night for an Evening of Champagne and Bach in a simply stunning performance by Early Musicians Hazel Brooks and David Pollock - otherwise known as Duo Dorado. As with most events at the moment, mud played quite a large part in the evening - but unlike the Great Yorkshire Show, our show went on! The Harpsichord that Duo Dorado brought with them was a work of art in its own right. The instrument (shown left) was made in 1999 and is a replica of the 1733 Ruckers-Hemsch held in the Cobbe Collection at Hatchlands Park. Transporting the priceless instrument up the stairs to the Great Hall posed challenges, but once there it looked instantly at home. We did actually offer to keep it here and look after it for them... but strangely they declined! It is identical - down to the individual brush-strokes of the painting - to the original, and decorated with gold leaf. The sound that it produced is unmistakable and to hear it fill the Great Hall was a joyous experience of all present. So, after pink Champagne in the Undercroft the audience made their way up the stairs to the Great Hall. The Duo were kindly introduced by Roger Chapman and then the magic really began. Playing a selection of pieces by Bach, including the much loved Well-Tempered Clavier, Baroque Violinist Hazel kept the audience entertained with anecdotes from the life of Bach. During the interval David kindly showed the audience around the Harpsichord, allowing them to take a closer look at the intricate paintings that adorn it and answering the many questions that the audience had. We sincerely hope that we will be able to welcome them back to the Hall in the future as they were an absolute delight.